Desi Deli opened yet another chevron-printed eatery in Andheri and the menu includes signature dishes (global with a local twist) from the diminutive Bandra outlet along with new additions. 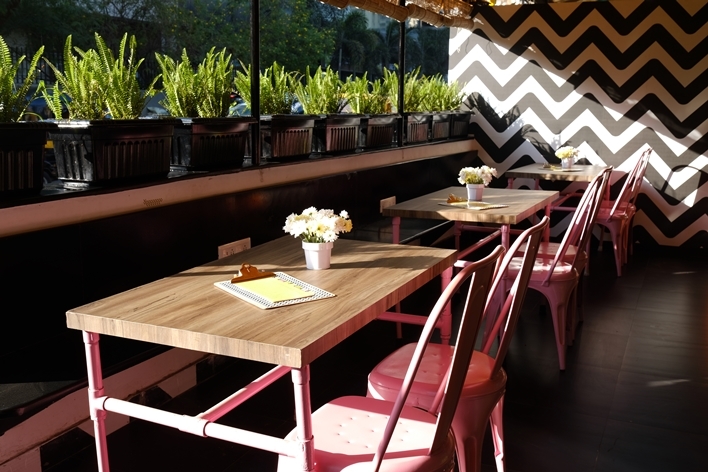 Sporting a laid-back vibe, the Andheri outpost is definitely bigger and is split into indoor and outdoor seating areas. The outdoor patio-like section is spacious and has bright pink, yellow and green chairs that we’re sure will paint a summery picture against the chevron accented wall during the day. Giving in to the small plates trend that’s taking all city eateries by storm, the charming Andheri outpost now includes a selection of small eats that can be paired with a list of wines, beers and other boozy mixes exclusive to this outlet. 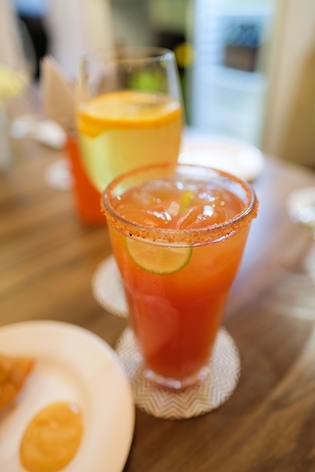 The beer cocktail trend has also made its way to the drinks menu, with the shandy-like Monaco (beer, lime, pomegranate juice) as well as the Michelada (beer, lime, tomato juice and spices), that do not disappoint in terms of execution. They’ve also got home-style fresh fruit sangrias in red and white wine for lovers of the drink. The small eats offer a mix of vegetarian and non-vegetarian options that you can nibble on with a couple of drinks. 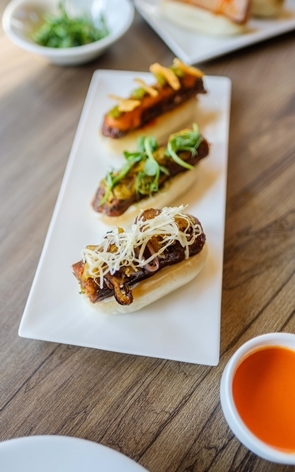 Chhota Dogs are tiny hot dogs done three ways – Spicy, Tangy and Sweet. Fried chilli, tomato chutney and hot sauce add a lot of flavour but not a lot of heat to the Spicy chhota dog. We quite liked the Bengali-style Tangy version dressed with slightly sharp radish mayo and kashundi mustard that thankfully wasn’t too overpowering. The Sweet variant with cheddar and caramelised onions comes with a well-spiced orange jam for an interplay between sweet and savoury flavours. Available in veg, chicken and pork variants, the mini hot dogs can, however, get a tad bit “bready” after a few bites. For bacon lovers, there’s the Hawaiian Desi dogs with bacon-wrapped sausage, pineapple, onion, honey, chilli and desi masalas. The Tuna on Crisp (tuna patty with sauce, pickled radish served on a sago papad) didn’t excite our palates – the sauce was a touch too pungent. Buff Slider on the other hand is definitely worth a try (for those who eat the meat, of course) and promises flavourful, albeit tiny bites. The tender, well-spiced ground meat mini burgers dressed with caramelised onions and spicy orange jam are highly recommended. If you’re looking to avoid too much bread, the Spread Toasts are ideal nibbles – pick from fragrant rosemary and walnut spread or the porky chorizo chunk topped options. For mains, there are Desi Deli crowd favourites like the Lush and (Super Lush) Lamb Burg, Tangy Chic Burg or the Shtoo (veg or chicken options). 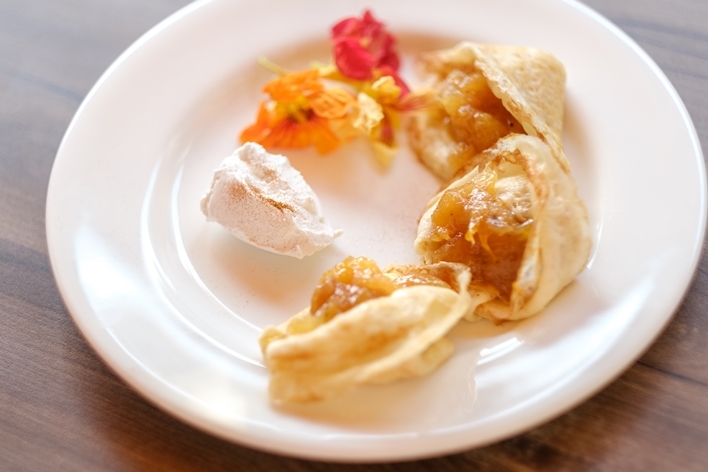 The dessert menu also has new additions like the Crepe Ka Meetha which are mini crepes pockets with caramelised apricots (from the Hyderabadi classic khubani ka meetha) served with gold dusted cream. The outlet will soon begin serving breakfast and craft beers, but for now, the tiny dogs and drinks make for a good start.